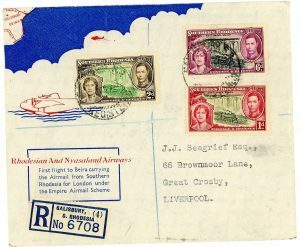 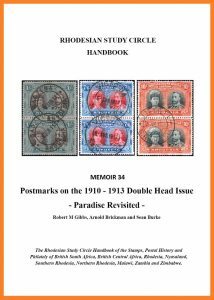 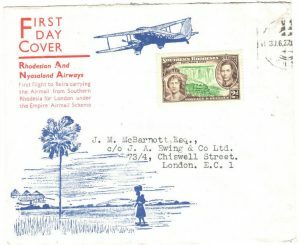 The Empire Air Mail Scheme (EAMS) provided regular connections between the countries of the British Empire at the very low postal rate of 1½d per half oz. 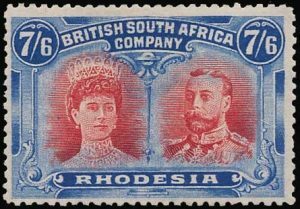 In Southern Rhodesia, the rate was 2d per half oz. 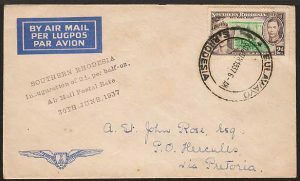 As this was an all-up service, an air mail label was not needed. 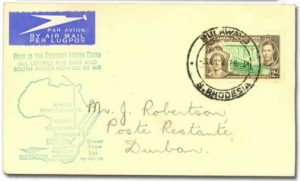 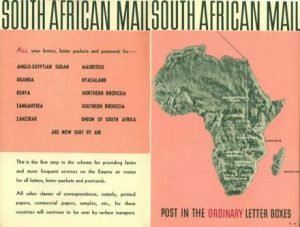 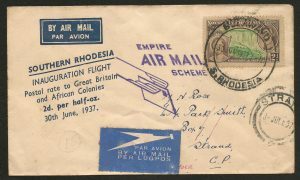 On the 30th June, 1937, the first mail was carried from Southern Rhodesia to Beira by Rhodesia and Nyasaland Airways where Imperial continued the mail to London.